It is the season for giving. 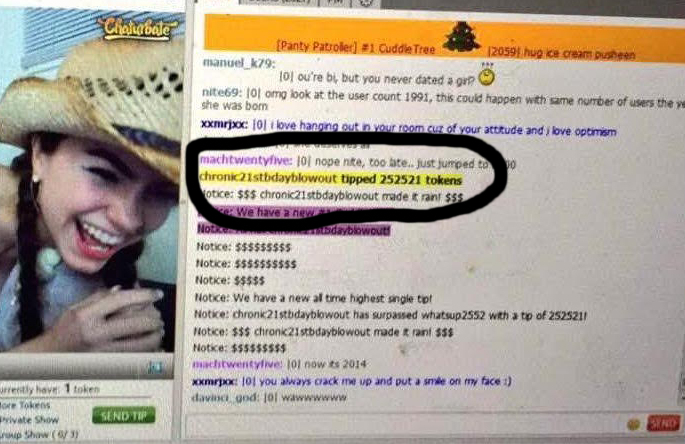 And ChronicLove from Chaturbate was given a record 252,521 token tip for her 21st birthday. This is a new record for the highest tip on Chaturbate. When ChronicLove fans say token blow out they weren’t joking. For her 21st birthday they got together and tipped her 252,521 tokens!!! !